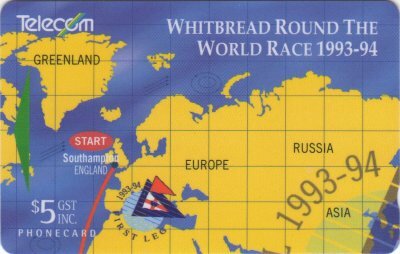 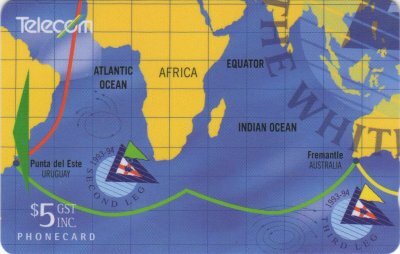 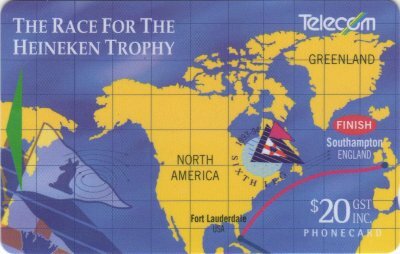 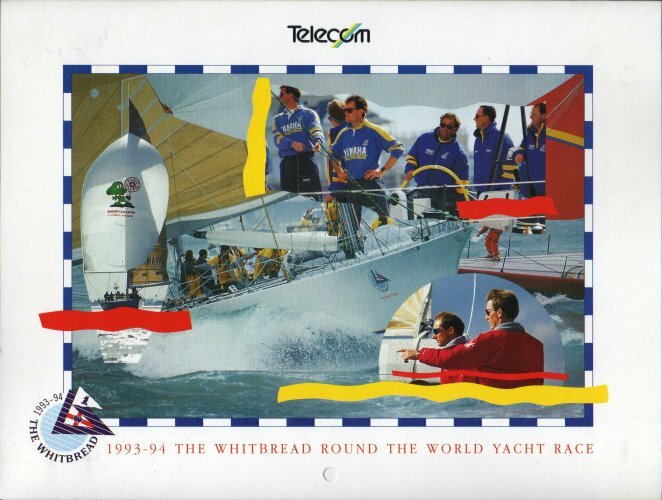 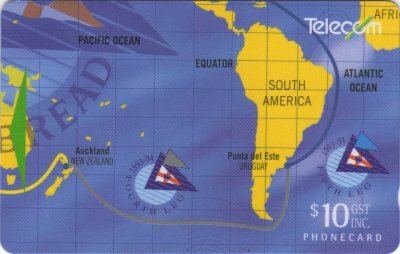 Telecom issued these cards in 1994 to commemorate the Whitbread Round The World Yacht Race. 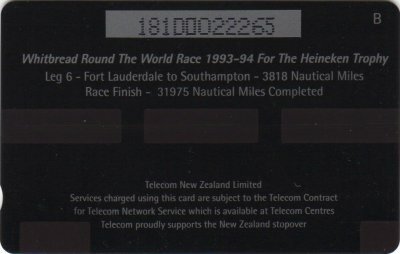 As well as loose, 10,000 of these cards were issued by Telecom in a souvenir folder as illustrated below. 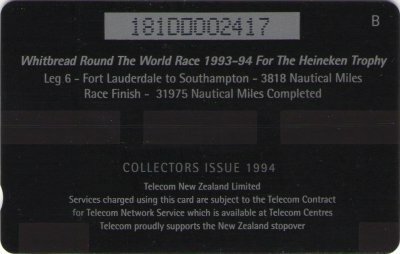 They were also available in the Collector Pack NZ-CP-19, and were overprinted with Collectors Issue 1994 and each card in the pack had matching serial numbers. Purchasers of the Collector Pack also received a separate Telecom SPOT Christmas Card folder showing SPOT in a Santa hat. 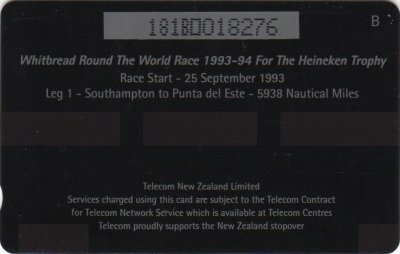 Refer Christmas best Wishes. 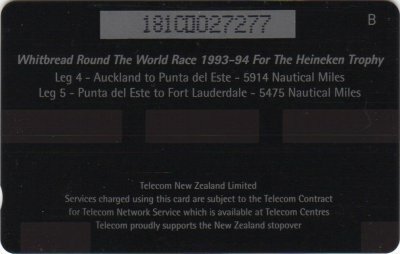 Illustrated below are the reverse of the four normal cards.